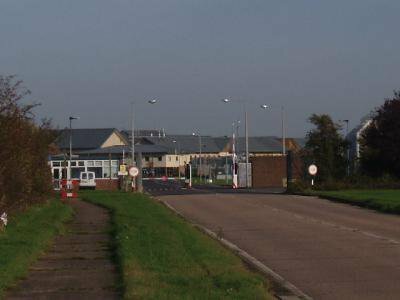 Abuse at Yarl's Wood immigration detention centre is finally mainstream news. When a woman died at Yarl’s Wood in 2014, a woman who knew her inside spoke by phone to Jennifer Allsopp. This article was first published on 31 March 2014. JA: Can you tell me why you wanted to speak to openDemocracy 50.50? A: [Name withheld] died here on Sunday morning and I wanted to say that we’re all so upset and we're not happy here. There are so many people in here who are unwell and not to fit to be detained and deported. JA: Did you know her? A: Yes. I spoke with her before she died. She’d been here about nine days. She was telling me that she was scared because she was going to be taken to the airport. She was taken there but then she was brought back here because of her solicitor. She was worried the Home Office were going to issue her with another document and send her again. To me, when I saw her, she was well. She seemed strong and was moving around. Some people told me that two days ago someone opened the door hard and she had a shock and was very frightened. The previous day, Saturday, she asked her friend to do her hair and then she said, when she was doing it, ‘I can’t carry on, I’m feeling unwell’. JA: This was a friend she’d met in detention. A: Yes, a friend from detention. JA: How have the women in Yarl’s Wood responded? JA: So the women are in mourning? Yes, the women are in mourning. The women are in fear. We were all just thinking, this could happen to me as well. This could happen to any of us. There are other people here who are sick and most of us are not believed when we tell them. It’s common. There are vulnerable women who will keep dying in here. There are women here now in wheel chairs...there’s a paralysed woman here. JA: It sounds like there is an atmosphere of solidarity. JA: Have you been given much information about what has happened? A: Now the situation is in shutdown. All they’ve told us is that they’ve tried to contact her next of kin. JA: Can you tell me a bit about your own experience of being detained in Yarl’s Wood? A: In Yarl’s Wood it’s like looking out of a window in the middle of nowhere. There are no houses when you look out of the window. You’re brought here in the middle of the night so you’ve no idea where you are: no idea what the gates look like or what’s outside. There’s little peace. Every day you have a roll call, four times a day. Yesterday there were countless roll calls because of the situation. It was so, so uncomfortable. I don’t know what word to use. If a new person comes in, at 2am, 4am it doesn’t matter, they take them into your room while you’re sleeping. They just bring them in. They don’t care if you’re asleep or not asleep. They don’t care if you don’t sleep again until morning. JA: Can you tell me a bit more about the roll call? A: They knock on your door and check you’re there. The guard could be male or female, they don’t really care. You have to be dressed, that’s your responsibility. They knock and just come straight in. They’re doing one right now [there’s a loud voice in the background and a door banging.] If you’re dressing you should do it in your bathroom. They find women naked all the time. We have cards with our name and number. You have to carry it with you all the time, even when you go to the toilet. JA: What would you like to see change? A: I look forward to the day Yarl’s Wood will be shut down. We’re all in here and we’re not criminals. Most of us have been in detention before we fled our countries and we thought that running away would free us from detention. We didn’t think that instead of getting help, we’d be detained again here in England. I’m hoping that Yarl’s Wood will be closed down and asylum seekers will not be treated like animals in this country; that asylum seekers’ cases will be looked at properly; that we won’t just be bundled in here and given a ticket for three days time. It’s so unfair the way the system works. You don’t have time to appeal. Even on the outside they make you report every Monday and you know you could be taken into detention at any time. You do that for years and years with so much fear inside you. Because detention is like a prison. There's no difference as I can’t go out; I can’t breathe fresh air. There’s just a little square between the houses but it’s still an enclosed space. I think about the people who have been here one year, two years: the need for fresh air! I feel I’m locked up in a room and there’s no door and no fresh air. It’s an uncomfortable feeling but again, this word... imagine that for one month, one year. It’s unbearable. The name of the interviewee has been withheld at her request.